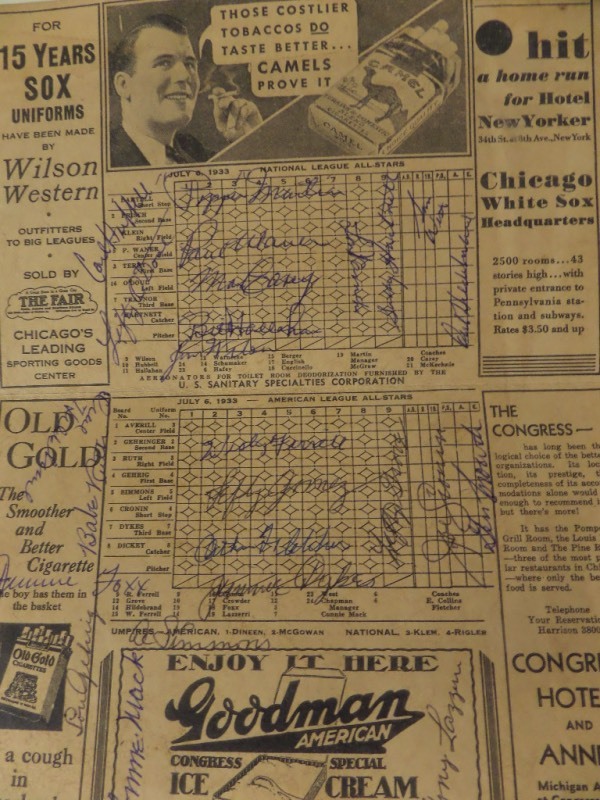 Coach's Corner - 1933 Players signed MLB All-Star game program. Go Back to Lot List 1933 Players signed MLB All-Star game program. This remarkable Commiskey Park collectible is a folded 1-page program and comes ink signed by both the NL and the AL squads. I see some amazing HOF names that have signed, grade overall is an honest 8, and over 30 people in total have autographed it. Signers include Babe Ruth, Tony Lazzeri, Hubbell, O'Doul, Waner, Gomez, Lou Gehrig, Jimmie Foxx and more. Super nice and super rare one of a kind and value on the Cooperstown display worthy piece is thousands.